Sandalwood, Barley, Agave Rigida and Phellodendron Amurense Bark extracts, Soybean and Sweet Almond oils, and Vitamin E.
Sandalwood Extract, Phellodendron Amurense Bark Extract and Barley Extract combine in a blend that significantly reduces trans epidermal water loss and improves overall skin softness. Amurense Bark conditions and soothes skin. Soybean & Sweet Almond oils are packed with Vitamins that nourish skin. Glycine Soja (Soybean) Oil, Sorbeth-30 Tetraoleate, Parfum*, Agave Rigida (Sisal) Extract, Santalum Album (Sandalwood) Extract, Phellodendron Amurense Bark Extract, Hordeum Distichon (Barley) Extract, Prunus Amygdalus Dulcis (Sweet Almond) Oil, Tocopherol. *All FarmHouse Fresh fragrances are phthalate-free. Omgosh, this scent of this oil is AMAZING. AMAZING! My skin is so soft after I use this oil and it soaks right in, no greasy feeling at all. I will cry if you ever stop making this one! The Agave Nectar Ageless Body Oil smells amazing and feels even better on your skin. I always use after shower and the oil easily sinks into my skin and dries quickly. It leaves my skin glowing and moisturized all day. My children always compliment me on the scent after giving me hugs. Love this product! My husband has taken it over, he loves the way it soaks in and the aroma is a warm natural light smell. It leaves our skin silky smooth. He uses it as a moisturizer too! I love this body oil. Great to put on after shower. The smell is light and refreshing. I love everything about this body oil!! The smell, check! Absorbs perfectly, check! Leaves skin feeling like silk, check! I like to put this on as soon as I get out of the shower, let it absorb for a couple minutes then top it off with Moon Dip!!! I feel like the scents compliment each other and my skin feels amazing all day!!! I love the way this smells. Great for my dry skin! I've been purchasing this item for three years now. So I love it. Great item and I would recommend it to my friends and relatives. 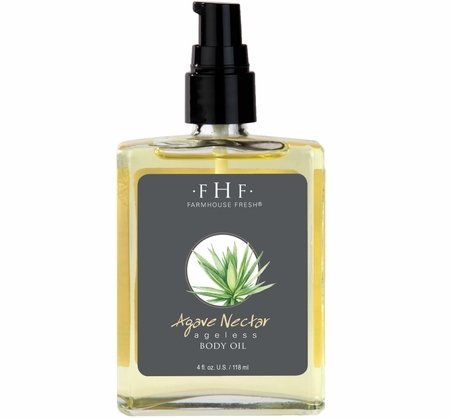 I love the Agave Nectar body Oil. It has a wonderful scent and seems to keep my dry skin from flaking..
LOVE LOVE LOVE the agave nectar. It smells amazing and makes my skin so soft! I absolutely love the feel and fragrance. I use this oil on my chest and neck. 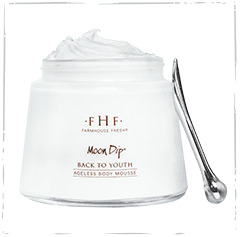 It moisturizes well and has reduced the fine lines I've developed on my chest. I tried this body oil on a whim because my skin can be so dry in the winter. I am so glad that I gave this a try. It smells lovely, doesn't leave you feeling greasy or like your pores are clogged. My skin is soft and smooth and hydrated. It even helped with the bumps I get on my upper arms.